Located on Old Alabama Rd just off Holcomb Bridge Rd and Turner McDonald Pkwy, Extra Space Storage serves residents of Roswell. Locals will recognize our facility across from the Kimberly-Clark Corportation campus north of Waffle House and Wells Fargo Bank. We're also accessible for residents of nearby apartments, such as Roswell Manor, River Crossing at Roswell, Belcourt Apartments, and more! Extra Space Storage on Old Alabama Rd offers a large selection of storage units, climate-controlled storage, drive-up access, and exceptional security. 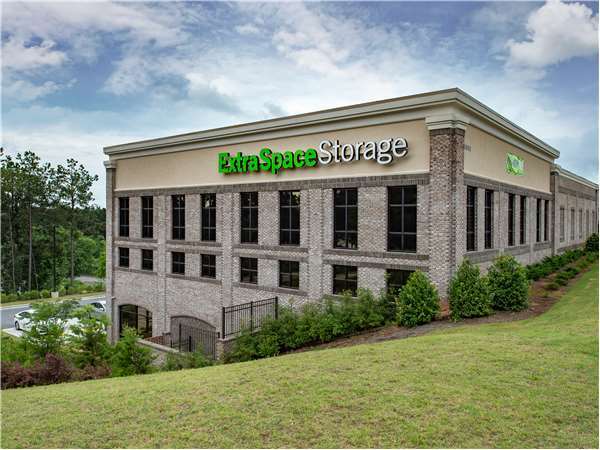 We're the storage partner you can count on in Roswell! With units ranging in size from 5x5 to 10x30, our Roswell storage facility can accommodate practically any storage need. We also have units with convenient features like indoor access, drive-up access, and more! Our Alabama Rd storage facility utilizes security measures like an on-site manager, 24-hour video surveillance, and electronic gate access to ensure your valuable belongings are well-protected. Keep delicate items safe from Roswell's extreme heat and humidity with climate-controlled storage. This amenity maintains a storage environment between 55 and 80° year round. Units with climate control are available in sizes 5x5 to 10x30. For the ultimate self storage convenient, rent a unit with drive-up access! This feature allows you to pull a vehicle up next to your unit so you can quickly unload and load heavy items without hassle. Drive-up units are available in sizes 10x25 to 10x30 and come with climate control as well. Extra Space Storage is the storage partner you can depend on. Our friendly, professional staff is more than happy to help you find the perfect solution for your needs. Also, you can expect our facility to always be clean, secure, and well-maintained. Contact us today to reserve a storage unit in Roswell! Gerard was knowledgeable and very friendly. The units and facility were spotless, well-lit and easy to maneuver around. He listened carefully to what I needed to store and recommended the perfect size unit. This was my first time renting a storage space but Gerard helped make it quick and easy. Good service, good dill. Thanks. Extra Storage Space is professional and efficient. Facility is clean, well-lit and security is excellent. And prices were very competitive, as well. And lots of locations; no need to look elsewhere. I researched many other facilities and just happened upon this one while driving around searching. It was everything I needed. 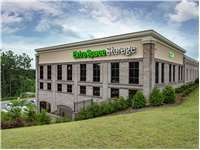 Easy for a big rig to get in and out of, easy to get to my unit even though it’s not on the first floor, customer service that helped me with the process (I have never used self storage before and they were very patient with my questions). Helpful friendly staff. Clean facility! This facility is very clean and new. After looking at 1 other facility in the area, both comparable in price, I chose Extra Space because of the fantastic customer service provided by Rose. She is super committed and goes the extra mile to ensure your satisfaction and she can be reached almost any time you need her. This facility is wonderful! It is clean and safe and the rates are very reasonable. I visited several storage facilities in the area and chose this one based on cleanliness, price, location, security and customer service. Rose, the manager is wonderful! She was so friendly, and informative. And I loved the on-line reservation option. It made our move in easy and efficient. Staff is polite, respectful, and willing to help and answer questions. the location is easily accessible, clean with carts to help load/unload. Plenty of parking spots to ease your short stop! Great storage facility. Very clean, on site bathroom and trash dumpster. Employees are knowledgeable and very helpful. I relocated from a close by storage facility because this facility is nice and very secure. We had a great experience at Extra Space. We were in an emergency situation to rent the space and Rose was able to accommodate us right away even though she was very busy. The space is perfect for our needs and it is very convenient to our office. I stopped by two storage facilities near my home. The Office Manager at this location was very hospitable and informative. Moreso than the other facility. The building is nicely landscaped and the interior and exterior very clean. Plenty of dollies were at hand to make my move easier. This is a brand new facility in a congested and over developed suburb that stands out for its 'national' availability, online access and extra convenience to major thoroughfares, as well as being easily visited. In comparison to older or privately owned public storage facilities, it is currently very desirable for my short-term usage. This is a great place to store your things it is clean cost effective and the people are great. Great experience! Professional staff, very clean and secure facility and reasonable pricing. I highly recommend Extra Space storage to anyone looking for a nice ,clean, secure, and safe environment to store your belongings. Also, excellent customer service (Doug is the best ever) and employees that go over & beyond to assist with your storage needs. The facility is clean, customer service is top knoch. The. secuity is a nice feature with code access and person on sitelevision during open hours to assist with any issues. Great customer service from the employees. They helped us find the right size and everything went very smoothly. Facility is clean climate controlled and associates are pleasant and helpful! Drive southwest on US-19. Take exit 7 and turn left on GA-140. Turn left onto Old Alabama Rd. Our facility will be on the right. Drive north on US-19. Take exit 7A and merge onto GA-140/Holcomb Bridge Rd. Turn left onto Old Alabama Rd. Our facility will be on the right. Drive west on Old Alabama Rd. Pass Walgreens and keep right to stay on Old Alabama Rd. Our facility will be on the left after you pass Roswell Manor Cir. Drive southeast on Holcomb Bridge Rd. Pass CVS and continue straight. Cross Turner McDonald Pkwy then turn left onto Old Alabama Rd.